Soul and Star Family and the many Illumined Beings of Light from On High. Anrita is offering 2 packages of 12 beautiful channelled transmissions of Light, each are one and a half hours to two hours in length, taking us into an experiential understanding of this New Golden Age of Light Overlighted by the Elders, ancient celestial Beings and High Council Members to the Order of Melchizedek. As a Pleiadian Starseed, High Priestess and member to the Order of Melchizedek, Anrita weaves an understanding of our Cosmic Heritage through Lemurian, Atlantis and Ancient Egypt with teachings from the Kabbalah, Sacred Geometry, Melchizedek Initiations and Rays of Light. Anrita brings together these incredible celestial activities of Light in such a way that we find ourselves merging with Soul Mates and Twin Flames, heading to Ascension Seats Overlighted by the Christed Extraterrestrials, journeying to Crystalline Cities of Light, connecting to Shamballa and working with the Rays of Creation, traveling timelines and Golden Ages, all merging and converging into this magical Now moment in AWAKENING AND REMEMBRANCE. In the knowing of ourselves as these sacred transfiguring Flames of Divine Love walking the Pathways of Divine Love. These Golden Age transmissions cover DNA Activations, Light Body/Merkaba activations, Inner Masculine and Feminine Rebalancing, Twin Flame Re-Unions, Atlanta and Lemurian Healings and Crystal frequency activations, Melchizedek Initiations of Light, Activating the Petals of the Christed Heart, Initiations of the Rose, Starseed Activations, 12 Light Body/I AM Avatar Blueprint Templates and so much more. A true adventure of remembrance and Love through the knowing of ourselves in Service to Mother Earth and all her Life. Although some of the transmissions were done around planetary events, they are essentially timeless. As an added bonus, there are many eBooks and transcribed offered with these teachings and most Mp3 downloads allows you the option to download with or without background music. The knowing that we are not alone as we walk the path of Divine Love. That we are celebrated, appreciated and deeply loved. Clearing at a cellular level of false beliefs, judgments and genetically inherited patterns and past life events. The releasing of any addictions. Greater abundance, joy and purpose in our lives. that will assist us to flow with the Universe in perfect harmony, abundance and grace. A deeper sense of conscious awareness, Christ Consciousness and empowerment of Self. A sense of purpose, our Life mission and heart’s dreaming. The creation of our multidimensional Light Bodies and the activating of the dormant DNA. Deeper into alignment with the realms of Illumined Truth and to one another. A deeper connection to our Beloved I Am Presence and the knowing of our starseed heritage. Deeper into Self-Love, into the experience of being these sacred transfiguring Flames of Divine Love. of our highest potential as these sacred transfiguring Flames of Divine Love. Increasing our healing energy and gift of intuition. Balancing of the Divine Masculine and Feminine energies in pure compassion, power, Love and Wisdom. The activation of our advanced ESP gifts in unconditional Love. As we experience the pathway of Divine Love in this Golden Age of Light, we are embraced within the etheric Electronic Ring of Fire of Helios and Vesta, a shield of pure God essence. As we align to the Sun, Central Sun and Great Central Sun, as well as deepen our connection to our Beloved I Am Presence and the Cosmic Heart of Mother/Father God, we are offered the gift of the Trinity Lords Shield of Light, a beautiful 12-pointed star with two infinity symbols embedded upon the star, one horizontal and one vertical. This Shield of Light initially activates through our inner Tree Life along the spinal column, imprinted through our chakras and the Overlighting of Lord Michael, Lord Melchizedek, Lord Metatron, and the Archangelic Leagues of Light. Once fully actualized, it forms a spherical shield 54 feet in diameter around us, surrounding the diamond sphere, the Golden Fruit of Life and Metatron's cube, which links us ninth dimensionally in the Cosmic Heart of God. Join Anrita and the Elders in this wonderful telewebinar transmission as we collectively experience the third wave of Cosmic Christ Consciousness through the activation of our multidimensional Light Bodies and the various levels of our Light Body/I Am Avatar Blueprint as we enter into the Antarian Quantum Starlight Streaming Gateway of Light. What we term the multidimensional Light Body is the collective and individual experience of the New Earth templates, sacred geometries, numerologies and fractal geometries that activate around our physical body, energy field and hologram dimensionally; expressed through the radiance of our Body of Light, our I Am Avatar Blueprint, our connection to Soul and Star Family, and the integration of our Beloved I Am Presence through our lower bodies as we walk the path of Divine Love knowing we are all One. 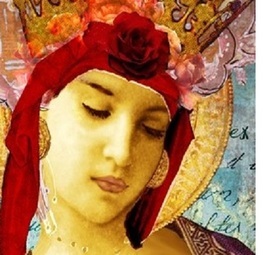 Join Anrita and the Elders in this beautiful transmission of Light as we enter into Mother Mary's Temple of the Immaculate Heart, and deepen our journey along the path of the Rose into the Divine Feminine through the Initiations of the Rose. As we activate the Grail Codes of the Sacred Rose of Christ Consciousness, we merge with the Goddess archetypes thru the Overlighting of the Sisterhood of the Rose. As we purify our lower mind as these open hearts and sacred transfiguring Flames of Divine Love, we release the vestiges of any perceived level of separation or blame unforgiveness or judgment within our hearts, embracing the Pathway of Divine Love, the Path of the Rose. Through a series of Light transmissions, invocations and affirmations, we experience a renewed balance between our Divine Masculine and Feminine Spirits, embracing and integrating all aspects of ourselves within our Christed Hearts, within the Sacred Rose of Christ Consciousness. And so it is! Join Anrita and the Elders as we connect into the Diamond Light Grid, and travel in our diamond Light Bodies into Shamballa for the next level of our Soul's Forward Evolution ~ activating a deeper level of our unique ESP gifts. Overlighted by Lord Buddha, Sanat Kumara, the Mahatma, the Cosmic Avatar of Synthesis, and the Order of Melchizedek, as we move deeper into the Christed Petal of our Knowing Heart, and our own unique abilities, we experience a renewed sense of our Soul's purpose. Join Anrita and the Elders in this telewebinar transmission, taking us ever deeper into our heart's dreaming and the remembrance of our Soul purpose. It is a time of greatness, as we follow our Divine Blueprint, the blueprints of a starseed. Whether we are coming into a deeper remembrance ourselves at this Now moment, or whether we are already in Service, a beautiful manual, co-created with the Beings of Light from On High, the Christ Consciousness Soul purpose activation will be the focus of this teleseminar, taking us deeper into our heart's dreaming, into our heart's passion and Soul purpose here on earth. Anrita will start with a transmission by the Elders, and an understanding of our Soul's purpose. Following this, you will be guided through the Christ Consciousness Soul purpose activation. In this process, we connect to our Higher Light and activate the chakras to a deeper level of Divine Love, as we experience the pathway of Christ Consciousness, of One Unity Consciousness. Additionally, we come into a deeper sense of ourselves as these sacred transfiguring Flames of Divine Love, and our ability to co-create with the Company of Heaven in fulfilling our Soul purpose. Come join us in the beautiful sacred Cosmic Fire of Purification telewebinar. The sacred Cosmic Fire of Purification in its simplest form is the expansion of Spiritual Light within the physical body, allowing us to carry out the Will of God as these sacred transfiguring Flames of Divine Love. It is the intention of God's Light that directs and guides us in our everyday Life, purifying our lower bodies, and taking us ever deeper into the Cosmic Heart of All Creation. Join Anrita and the Elders, through the Overlighting of Helios and Vesta and the many Christed ET's of Light from On High in this telewebinar as we move through seven sacred fire purification rituals. Precious hearts, if you are drawn to work through your Beloved I Am Presence as an initiate of Light, and wish to experience a more consciousness understanding of ancient Egyptian and Atlantean Mystery School Priesthood teachings through the Halls of Amenti then this telewebinar is for you. The High Priesthood Training takes us into a deeper understanding of the Qabala, sacred geometry, rays, and initiations, and is Overlighted by the Order of Melchizedek, who brings through these ancient and universal teachings of Light, adapted from the Temple teachings in ancient Egypt and Atlantis. 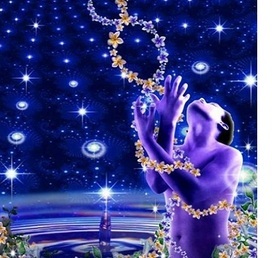 These teachings awaken the remembrance of initiations of Self Mastery in parallel realities, as the dormant DNA is activated, and the immortal etheric chromosomes are potentially activated. We experience four initiations in this telewebinar, undertaken in Soul consciousness through the Halls of Amenti, brings a deeper actualization of our I AM Avatar Blueprint of Light as we build our multidimensional bodies of Light. Additionally, we bring a unified focus of Service in Love to the Divine through Self Mastery skills. Join Anrita and the Elders in The Light Frequency Remodulation Program. The Light Frequency Remodulation Program works on every level of our Beingness. Every sub-atomic particle in the Universe has a frequency signature; every organ, body part, chakra, gland, thought, feeling and belief emits an energy signature. When in alignment with Source, in vibrational resonance, we create new expressions of Source based on our thoughts and feelings, adding to the collective expansion of Divine Love. When in misalignment to Source, we create contrasting experiences to give rise to the new idea of what we truly desire within our lives to remember our magnificence and preciousness. However, these misaligned frequencies, these imprintings of false beliefs and judgments can further create a sense of feeling out of balance, or having no control within our own lives, and take us into the pain body with the primary belief that we need to experience pain and suffering for our Soul’s growth. The Light Frequency Remodulation Program presents us with a series of tools and techniques to align us deeper into the Cosmic Heart of All Creation, into the knowing that we are truly these sacred transfiguring Flames of Divine Love, being able to tune in and align to these higher dimensional frequencies and co-create our reality with the One Reality of All That Is. "The Pyramid of Atlantis etherically houses the 12 Master Crystal Temples from Atlantis, which opens the dimensional portals to all dimensions of Light, to all Golden Ages of Light, and with this, allows the Crystalline Consciousness emanating from these Master Crystals to activate at a cellular level, and through the chakras, taking you beyond the illusion of realities in time on this Earth plane. To the knowing sweet ones, that you are supreme creator in form within the quantum crystalline field of One Unity Consciousness. To heal what needs to be healed, and to truly experience and know yourselves in your full magnificence and Light through the celebration of the Divinity of every thought, feeling and action". As these sacred transfiguring Flames of Divine Love, we choose to embody on the lower dimensions in human form to experience a full range of emotions, heal our own Soul wounds and to take the Light of Creation into the shadow aspects for ourselves and all Life. We encode this information within our original Divine eight-cell blueprint, reflecting the Divine Blueprint of Creation, and carried out initially under the veils of illusion and the roles of victim and persecutor consciousness to truly know ourselves as these Master Beings of Light, and co-creators to the Company of Heaven. This collective process aligns our will to the Divine Will of Mother/Father God, and re-activates our individual original Divine Blueprints of Creation. Join Anrita and the Elders as we travel in Soul consciousness into the Pyramid of Dreams along the Light Grids in Australia. As we awaken and actualize the knowing of ourselves as these sacred transfiguring Flames of Divine Love in Service to Mother Earth and all her Life, we experience expanded states of consciousness, reflected not only in our everyday lives through our connection to our Beloved I Am Presences and the Illumined Beings of Light from On High, but also through our dreams, dreaming into this reality the One Reality of All That Is as we to move back and forth between realities. Join Anrita and the Elders in the New Earth Way Shower Rites Overlighted by the sacred Cosmic Fires of Helios and Vesta. The New Earth Way Shower Rites is a series of seven rites accelerating our Spiritual evolution, and assisting us in our co-creation of Heaven on Earth. Join Anrita Melchizedek and the Elders as we travel to the Pyramid of Lemuria, and receive eight Lemurian Seed Crystals, holding the knowledge and story of Lemuria. Seeded by the Lemurians, these crystals are encoded with the wisdom, Love and unity of the Divine Feminine and Divine Masculine and the Lemurian Golden Ages of Light. We activate the Lemurian Seed Crystals through our own hearts, and the hearts of all humanity. Come join us in this sacred activation of the Lemurian Seed Crystals in the remembrance, celebration and integration of the Lemurian Golden Ages of Light. Join Anrita and the Elders in this online healing telewebinar as we connect with the Arcturian Emissaries of the Light who will help us activate 14 of our own programs of Light through our 5D Templating Crystalline Cloak of Light. The Arcturian Emissaries of the Light are 5th - 7th dimensional Light Beings, advanced healing technicians and master healers, who have gifted us with many wonderful Spiritual tools and techniques, and now offer us another multidimensional healing tool. They are looking forward to connecting with you and assisting on your ascension journey. Experience a deeper sense of our ability to manifest our hearts dreaming, and assist in the re-activation of the Arc of the Covenant. Experience the activation of the Holy Pentacles through the Key of Solomon consecrated to Saturn, Jupiter, Mars, the Sun, Venus, Mercury and the Moon respectively. Clear religious distortions, both on a personal level and planetary level, and experiencing a deeper sense of our connection to one another in Divine Love and One Unity Consciousness. As we experience this sacred gateway, we are taken deeper into the Golden Light of Christ Consciousness which activates within the heart and thymus chakras of all Humanity. The 12 Golden Petals of the Christed Heart activate from Shamballa and allows old cellular memories, judgments, false beliefs, and human mis-creations, to be purged, embraced and transmuted back into the Cosmic Heart of all Creation. This Activation will take us through the Uniting of Flames Rites to deepen our understanding of how we are coming together as the sacred Flames of Love in Twin Flames re-unions. Collectively we will deepen our service work and shift the consciousness of all Life on this earthly plane. 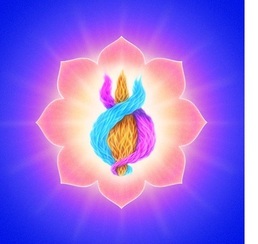 These Uniting of Flames Rites help define the different Soul and karmic contracts, help us embrace and love ourselves, will activate the 13-Body chakra system within us, integrate the Divine Masculine and Divine Feminine archetypes of Light and connect us to our Twin Flame and Soul Cluster. Through this activation, we will travel through all dimensions of Light in the creating and activating of the blueprints of our six multidimensional Light Bodies. We will receive keycodes and sacred geometries to activate our Light Bodies at each of the various dimensions and receive powerful invocations, affirmations and frequency codes to fully activate our multidimensional Light Bodies. At the Now moment where a heliocentric configuration took place at the peak of the Uranus/Pluto square that lifted all Life into a greater level of Cosmic Conscious awareness, we are offered an opportunity to experience the Crystalline Solar Sun Disc of Light within our hearts through activating 7 multidimensional Chambers or Petals of Light within our heart. Experience the ability to anchor a higher frequency of Divine Love, observe changes in your perceptions and realities, and create expansion of ESP gifts and more! In this transmission, we experience a series of 7 Angelic Golden Dolphin and Whale attunements. We are offered an opportunity to connect to and recode the 144 Crystalline Grid of Divine Love, linking with the etheric Golden Dolphin and Whale pods, the many Legions of Light, Light Workers and star seeded ones as we activate this collective OMM-Wave resonance of Divine Unconditional Love for ourselves and for All Humanity. The Great White Brotherhood/Sisterhood uplift the consciousness of all Life on this sacred earth. Unlock your Divine Blueprint to experience the activation of the Starseed Crystal Gene, and a deeper sense of Joy, Oneness, Abundance and Divinity within our own lives. We will also enter into the etheric Chamber of Light within the Great Pyramid and activate within our third eye, the 48 symbols of immortality into each cell within our bodies. Join Anrita and the Elders as we experience the sacred Comic Fires of Helios and Vesta who will activate the Golden Solar Sun Disc within our hearts. In our focus of creating Heaven on Earth, our increased Light Quotient can affect and create change within our realities as we walk the pathway of Divine Love. As each quality activates within our hearts, we experience particular invocations, affirmations, Light Chambers, merging timelines, Crystalline Sun DNA Template Activations, a re-union of hearts, and our connection to all the Illumined Beings of Light from On High. Through this activation, are offered an opportunity to experience the highest wisdom of God as we assist the Mighty Elohim to anchor and activate Elohimic Flames of Light so all Life may experience their Highest Potential as sacred transfiguring Flames of Divine Love. We end this transmission with a focus on World Peace, linking with the many Legions of Light, Light Workers and star seeded ones anchoring and activating the Flame of World Peace. 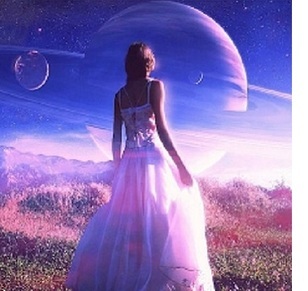 This Activation will help you create your own Pleiadian Quantum Rejuvenation Shield-a sphere of Light radiating around the body and energy field, giving you access to the five Healing Chambers of Light. These Chambers recalibrate and restructure the lower bodies, organs and body parts to bring about rejuvenation, healing and rebalancing and protects us from environmental toxins, harmful electromagnetic radiation and energy of others. The Shield of Light clears out old false beliefs and judgments while bringing greater frequencies of Light into our energy fields, physical bodies, organs and body parts for good health, vitality, increased energy levels and emotional well-being. "Anrita, Hello! I just wanted to thank you so much for the incredibly special reading. Now that I have had a chance to digest it all I am forever grateful!! You are so full of love and wisdom and everything you shared stirred my soul. You answered all of my questions (for now..) and shed light on things I knew( and a lot of things I did not) but at a much deeper level. You are a gift from the angels! We certainly need more of you. I am so looking forward becoming more of who I really am. You have made my path easier and filled it with beautiful light. You are a waterfall of wisdom, love and sweetness; a lifetime or many lifetimes of information in one hour! Many blessings to you! Here we come!! Lots of love!" "Oh, Blessed Soul Anrita! The Course was Powerful and Divine as usually. 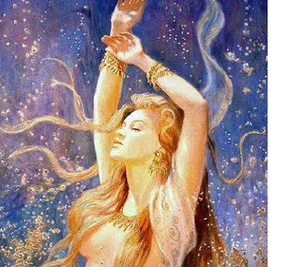 But this time the clearings and blessings ..it seems that…..moved a lot of energy. My heart filled with so much love! Heaven on Earth! Unconditional Love and Peace had filled also my room……. I Blessed you and sent you back all this Love"
"Anrita, I want to take a moment to thank you for your kindness.. You have helped me so much. Your guidance on the upgrades and your monthly transmissions. I feel like we have known one and other for lifetimes going back and forth on who is teaching the other. Obviously this lifetime you are the teacher and a great one. I am sending you pure love and light and pure source energy." "Hello Anrita In joyous celebration of your glory and greatness i write to thank you for sharing your light with the universe. Your home on the web is one of ecstatic inspiration as you are an impressive individual whose life and work touch the purest depths of ones soul. I found everything to be illuminating and insightful. You have my respect and admiration. By giving of yourself in such an uplifting way you benefit yourself and others. Know that you are atransformational force. Thank you for blessing the universe with the beauty of your true self. I wish you a journey of awakening that serves the highest good." "Namaste Anrita, This initiation was astoundingly beautiful and impactful! I feel so honored to arrive at this sacred place, to come full circle, after such a long journey of invaluable life lessons and soul work. The love flowing in my heart for me, you, and others is palpable. Thank you so much for all your courage and dedication, you are so uplifting and inspiring! Love and blessings,"